Hedge Mazes are always a hit with kids; they combine the thrill of being lost, the frustration of dead ends, and the inevitable fist pumps that come with winding a way out. Best of all, they get little ones away from their screens and into the fresh open air, enjoying nature and exercising bodies as well as brains. Here are six of the best mazes in and around Melbourne. When the kids are keen for an outdoor challenge, this is one of the first places that spring to mind for many parents. Ashcombe Maze has been a popular destination for Victorians for decades, and its location on the stunning Mornington Peninsula makes it a great spot for families to visit during holiday seasons. Ashcombe’s hedge maze stands at over three metres high and two metres thick, with just the right amount of trickiness for kids. It's also home to a gorgeous lavender farm and café that serves up some irresistible fare – just try to leave without tasting that lavender shortbread! A Maze ‘N’ Games is home to Australia’s largest timber maze. And when we say ‘largest’, we mean MEGA. In fact, comprised of 15 linear kilometres of timber, this maze is said to be one of the trickiest in the country. The aim of the game is to locate the four coloured flags within the castles, and then find your way out again. If there’s someone in the family (not naming any names) who thinks their skills of direction are first-rate, this could really put them to the test. There is also mini golf, playgrounds as well as barbecue facilities available at A Maze ‘N’ Games. Enchanted Adventure Gardens is not just home to manicured hedge mazes, it’s the place to go for a full day of action-packed fun for the whole family. There are three hedge mazes at Enchanted Adventure Gardens, each of them unique. The ‘Traditional Maze’ features a beautiful Japanese garden at its centre; the ‘Turf Maze’ just might be hiding a terrifying water-monster at its core; and, for the littlies, there’s the ‘Children’s Maze’, custom-built for the BIG imaginations of little people. With so much to do here, including Tree Surfing, plan to spend the entire morning or afternoon at this one. Hedgend Maze is located in the outer north-east of Melbourne, on 20 acres of land that is brimming with activities for families. 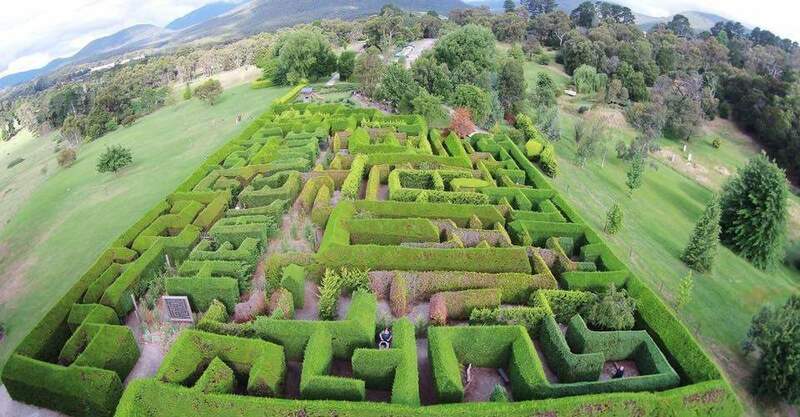 The renowned ‘Hedge Maze’ at Hedgend is 1200 metres in total length and it’s designed to get the better of even those with the keenest sense of direction. There’s also the ‘Rainbow Maze’ and the ‘Native Maze’ to explore, both of them less difficult, but equally fun. If mazes aren’t enough, skip over to the ‘Laser Sporting Area’, the ‘Giant Eye-Spy Mural’, or even ‘Frog Hollow Farm’ – and that’s just the beginning! This place is wholly concerned with the art of getting lost and, although it's a bit of a hike outside of Melbourne (108 kilometres, to be precise), it's worth the trip. Why not make a weekend of it and bunker down at the accommodation on site (which sleeps up to 10)? The decades-old, perfectly manicured hedge maze at Maze House also features a 'Carnival Garden' for stretching the skills of little ones with activities such as bowling. Plus, there's a cafe milk bar and, as previously mentioned, a big house if you feel like staying over on your family outing. Take a road trip and check it out. Avenel Maze is found around an hour’s drive north of Melbourne’s CBD, and the beauty of this well-maintained hedge maze and activity park is that everything is themed around Victoria’s notorious bushranger, Ned Kelly – a figure who is perennially fascinating. 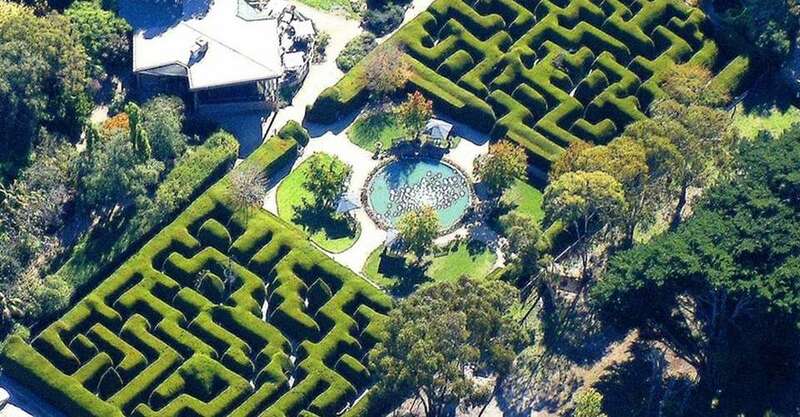 But it doesn’t end with a hedge maze inspired by Ned, there is also a rock labyrinth, mini golf and kids draughts to be enjoyed at Avenel Maze, so allow plenty of time at this one.